Valley Box is an American leader when it comes to heavy duty trade show crates. We believe in not only providing the highest quality shipping crates but also providing refurbishing services to repair crates that have suffered damage from rough handling. 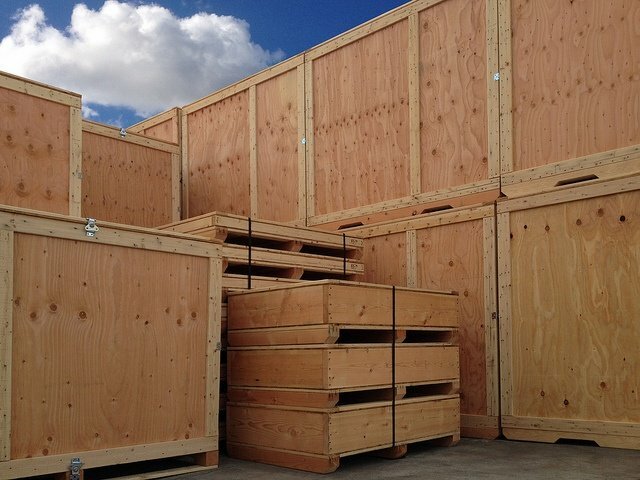 This allows your company to retain some of the initial investment in the trade show shipping crates. Valley Box has put together this post to make sure you don’t lose the momentum after attending a show! Impressions from the show may linger for a few days to a week but taper off quickly afterward, so you'll want to tap into the buzz while it's fresh. Additionally, it's a great time to asses if your crates are in need of a little TLC. 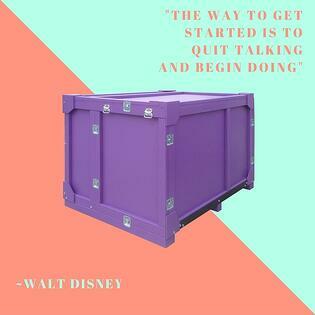 Ready to get started on your trade show crates? Go through all the materials you received at the trade show and group them by the products and services your most interested in learning about. If there is a supplier listing or portal, make sure you register and complete all documentation to be considered for future RFQ’s. Identify if the costs of attending; admission, hotels, travel, other expenses and your time. Did the amount of new knowledge and connections make your attendance worthwhile? Evaluate what went well, what didn't, and what could be improved for next time. Keep it real - don't suggest "better weather" for next year. Pay special attention to feedback regarding communication to prospective customers. The "lessons learned" will help improve your efforts for future trade shows. 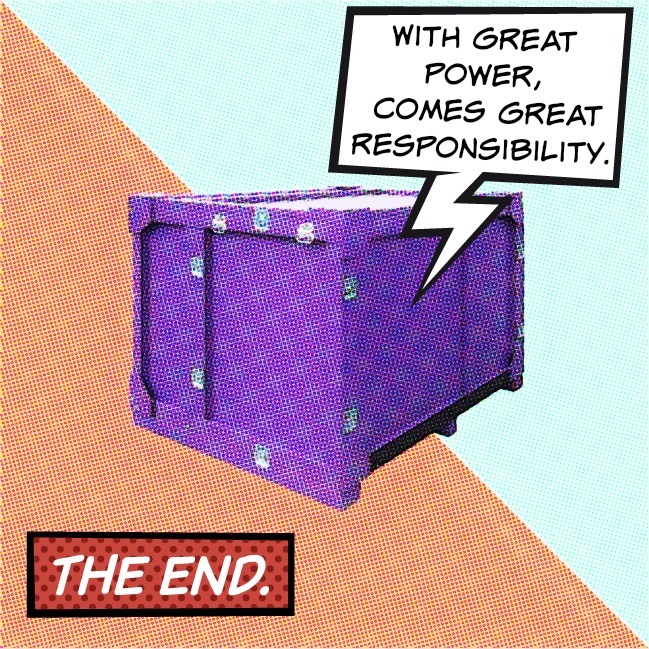 Think about how your trade show crates performed before, during and after the show. Do you have any ideas about how to revamp your crate to make it work better for your specific needs? Contact a company like Valley Box Company right away to get started on a new design. The design process and lead time may surprise you and its better to be prepared for next year's show in advance when it comes to crating solutions. Take inventory of any lost accessories, power cables, table clothes or signage. You'll need to get those items replaced before the next show. If your trade show shipping crates performed well and you have no re-design needs then take a good look at the crate for any visible damage. 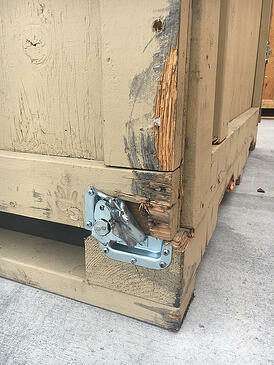 Working with a company like Valley Box you may be able to refurbish the crate (get the damage repaired) without paying the price for an entirely new crate. Did you know 79% of all show leads generated are not followed-up! Add the business cards you collected to your CRM for further nurturing and tracking. Make notes about the contacts interests or any other information helpful for follow up. Label contacts source as "trade show", so later when it leads to an order you can put a monetary value on success of attending the show. Connect with the new contacts on LinkedIn and endorse them, pay it forward! Join in the conversation, join groups that new contacts are in. If you haven't already, follow the Trade Show's LinkedIn group page . Send a personalized email within 3 days (up to 1 week) after the trade show. Ask open-ended questions (no yes/no answers). Make note of their type of business and specific needs that you noted from the event. Make sure to fulfill lead requests or promises and include a call-to-action like "visit website", "check out my blog post" or "download this spec sheet". If you decide to send a bulk non-personalized email, which is not ideal, be sure to us the bcc (blind carbon copy) field so that recipients are restricted from seeing everyone's email addresses. You don't want it to actually look like you sent a bulk email. Pick up the phone and call contacts within 1-2 weeks. You may not call everyone you emailed but perhaps the people you made a special connection with. Within 1 to 2 weeks of the trade show send your physical marketing collateral (letter, brochure, thank you card, promotional items) along with a hand written note and your business card. Don’t be afraid to give referrals and to ask for referrals from your new found contacts. Stay top of mind by scheduling to touch base quarterly or bi-annually. Plan future written follow-up, special offers, new products/services, etc. Valley Box is a premiere industrial-grade packaging company protecting manufacturer's products inside custom wood crates and made-to-order material handling equipment since 1965. Valley Box's packaging experts develop specialized solutions for trade show crates which require additional planning to design the interior so that display components can be conveniently removed and loaded on location while maintaining proper protection during transit. Valley Box helps you maximize your trade show display investment by incorporating protective details such as; foam or carpet lined surfaces, metal edged corners, vibrant painted exteriors, loading ramps, pedestals on casters and more.